MAWAB, CVP – The Philippine Army’s 71st Infantry Battalion celebrates the 26th National Children’s Month together with less fortunate children through the “Lakbay Bata” at Main Atrium, Robinsons Place and Energy Park, Tagum City last November 17, 2018, with the theme “Isulong Tamang Pag-aaruga Para sa Lahat ng Bata.” The said activity was participated by a total of 250 children and parents from Municipality of Mawab, Compostela Valley Province. The activity aims to highlight the vital role of children in nation-building as said in the 1987 Philippine Constitution, "to promote and protect their physical, moral, spiritual, intellectual, and social well-being." It also aims to strengthen the relationship between soldiers, the Local Government Unit and different stakeholders, and to let them experience what is not available in their far-flung communities. According to Lieutenant Colonel Esteveyn Ducusin, Commanding Officer 71st IB, the activity would not be realized without the various supports of the stakeholders. Thus, extending his gratefulness for the continuing support for the activity they get from these partners and giving emphasis on the rights and development of the younger generation. “It has been the sixth year of 71st IB to conduct this kind of advocacy to the less fortunate children and their parents in celebration of the National Children’s Month. We will continue to protect the children’s welfare and security,” Ducusin added. 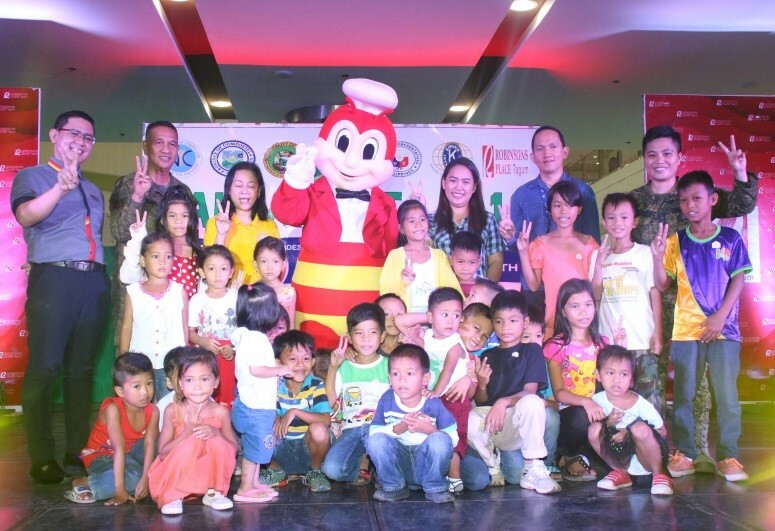 The participants were entertained by a Jollibee mascot and eventually had pictorials with the children and sponsors. Additional entertainment was experienced by the children through the clowns and magician’s performance at the Energy Park, Apokon, Tagum City. There were also free ice creams and gift giving activities from the stakeholders. At the end of the activity, the participants heartily thanked the organizers and stakeholders and affirmed their commitment to support the rights of the children and ensured to support the observance of the National Children’s Month.